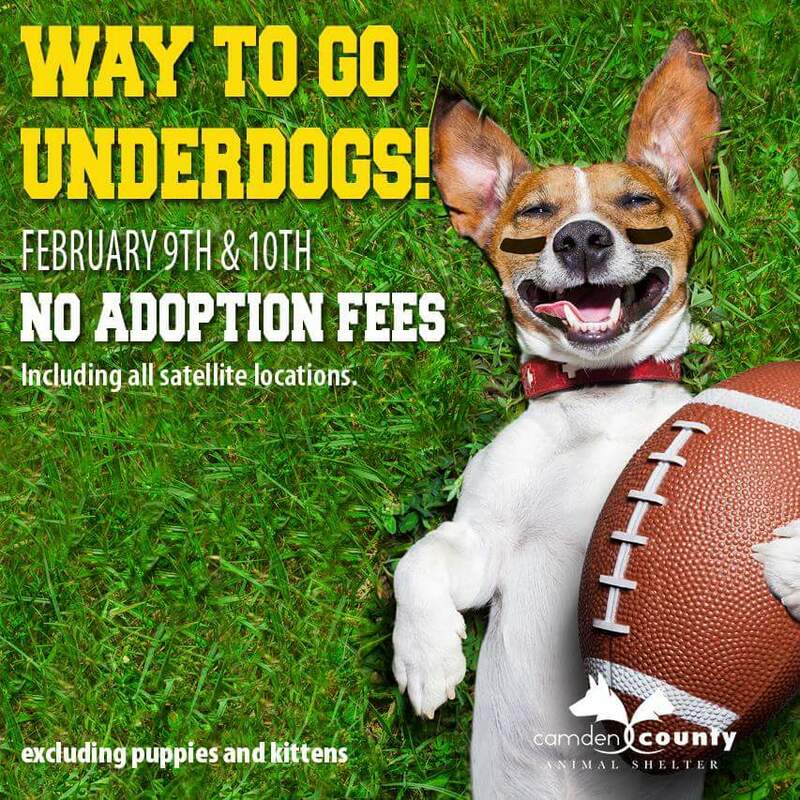 (Gloucester Twp., NJ) –The Camden County Animal Shelter is celebrating the Philadelphia Eagles’ Super Bowl victory by embracing its very own underdogs. On Feb. 9 and 10 CCAS will be waiving adoption fees on nearly all of the animals currently held in its shelters. For more information about this promotion and all of the CCAS’ many offerings and services, visitwww.ccasnj.org.